It is important to not only keep new ideas coming, but to continue to offer a great product. That can really set you a part from the rest. The wire we started off with is strong, commercial strength wire. We pride ourselves in offering wire writing that is clean and easy to read. My newest addition are curved wooden hangers. They are very pretty, adding more appeal to your wedding photos. 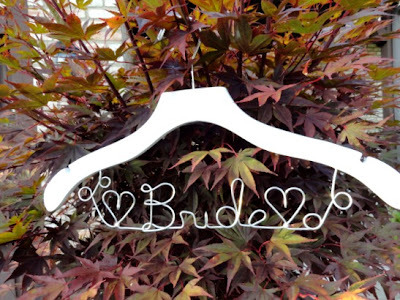 Currently, I have walnut and white wooden hangers available. 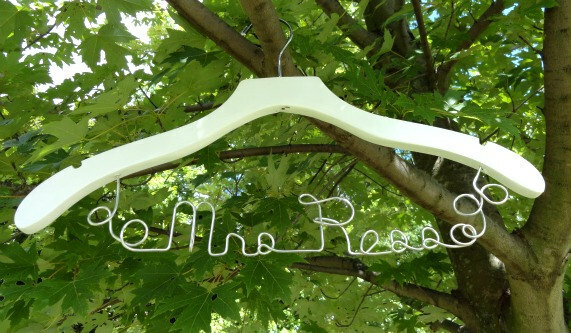 If they start selling, I plan to add black and natural wood hangers in this design too. I would love to hear your thoughts on my newest addition. 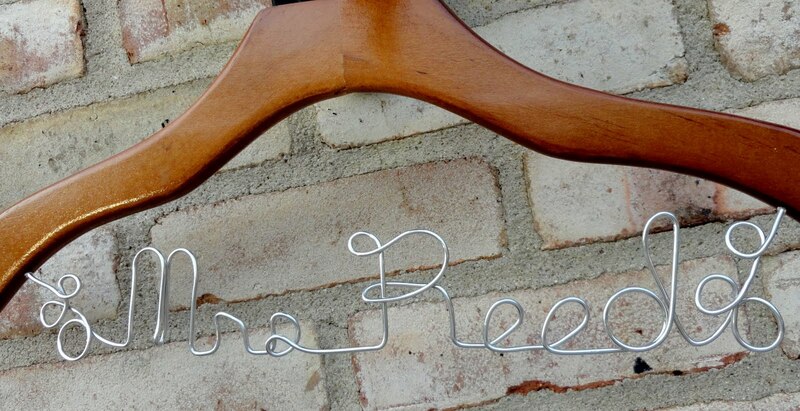 I love the look of the new hangers! Thanks so much for the nice words about the new hangers! I appreciate it, Ashley....Stayed tuned for September's giveaway! !